Dave Challinor says AFC Fylde’s first aim next season will be to reach the 50-point mark as quickly as possible. The Coasters enjoyed a fine debut campaign in the National League, finishing in seventh place in the league table before losing at Boreham Wood in the first round of the play-offs. But while the club’s ultimate aim is to reach the Football League by 2022, Challinor says they can’t afford to become complacent next season. The Coasters boss told The Gazette: “I think the league will be a tougher prospect with the teams coming in (Barnet, Chesterfield, Braintree and Harrogate), in comparison to the teams that have gone out (Woking, Torquay, Chester and Guiseley). “So our first aim will be getting 50 points as quickly as we can. “Everyone will probably go into the season with more ambition. “But if you look at the clubs right the way through, the aim will be to get into the play-offs. They will fancy their chances with the extended numbers. 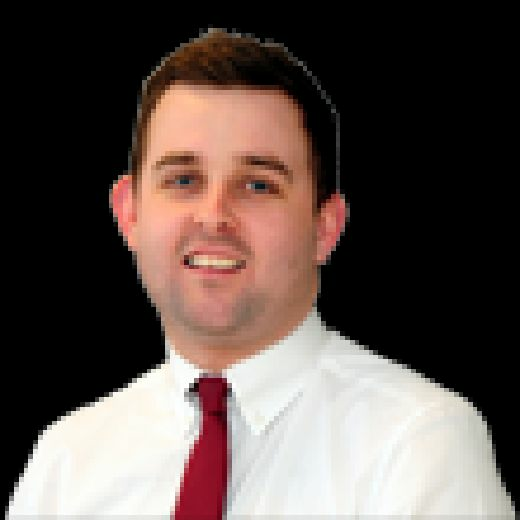 “But at the start of the season you wouldn’t have thought Leyton Orient would be in a scrap to retain their status or Hartlepool. “Woking were sat second in the table when we played them at the turn of the year and could have gone top. Ultimately they’ve got themselves relegated. “Torquay are a former Football League club and have got relegated as well, so it’s a really tough division. “Ultimately, we will set our stall out and try to get as many points on board as quickly as we can. A home friendly against Blackpool has been confirmed for Tuesday July 24 (7.30pm) as Fylde bid to hit the ground running next season. Fylde striker Danny Rowe’s name will be printed on the FA Cup final ball to be used at Wembley on Saturday, when Manchester United take on Chelsea. Positioned between Tottenham Hotspur’s Danny Rose and David Forbes of Nantwich Town, Rowe is one of 137 goalscorers from this season’s competition on the Nike ball to be used for the 137th FA Cup final. The ‘Ball For All’ celebrates players from all levels who share the accolade of being a goalscorer in this year’s campaign. 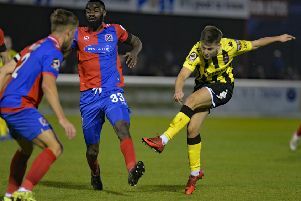 Rowe was selected for his second-round goal at League One champions Wigan Athletic, where Fylde led until the final 10 minutes only to bow out 3-2. Other names on the ball include Liam Pullen of Chipping Sodbury Town, whose strike in the extra-preliminary round was the club’s first ever goal in the competition, Wigan’s Will Grigg, Alexis Sanchez and Willian, who both scored decisive goals for this season’s finalists. Andy Ambler, The FA’s director of professional game relations, said: “One of the most special things about The FA Cup is that a goalscorer in the extra-preliminary round shares the same accolade as some of football’s most famous names. The date and format of Fylde’s end-of-season awards evening has been changed. The event, which includes a Q&A session with boss Challinor, moves back a week to Thursday, May 24 (7pm) and will now take place in Bradleys Sports Bar at Mill Farm with tickets priced £10. These are available at the club shop or by calling 01772 598855.